Delaware Trees – Page 3 – Putting trees first in the First State! 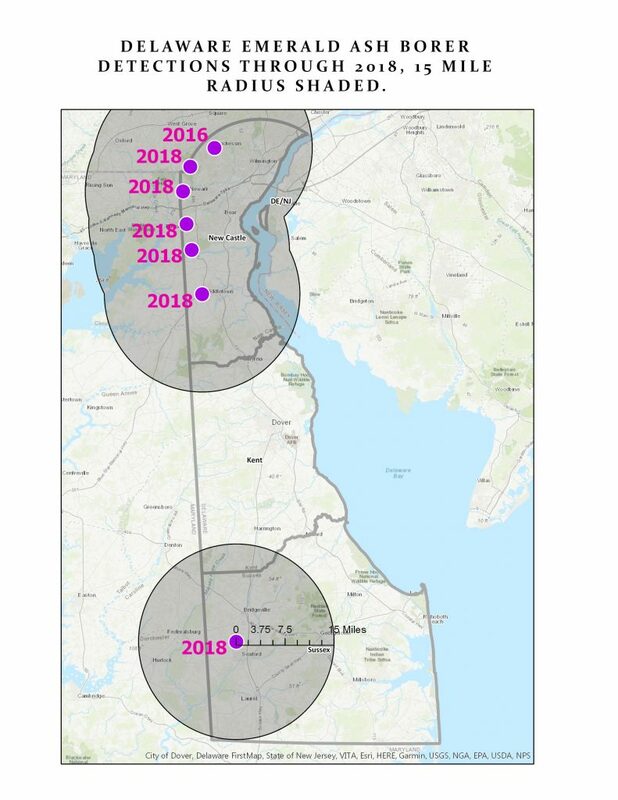 This map shows the year and location of confirmed emerald ash borer (EAB) detections in Delaware. Originally found in northern Delaware in 2016, the new detections create added urgency for homeowners and municipalities to determine if they have ash trees on their property and decide on possible management options.Current guidelines recommend the removal or treatment of ash trees if located within 15 miles of a known infestation. 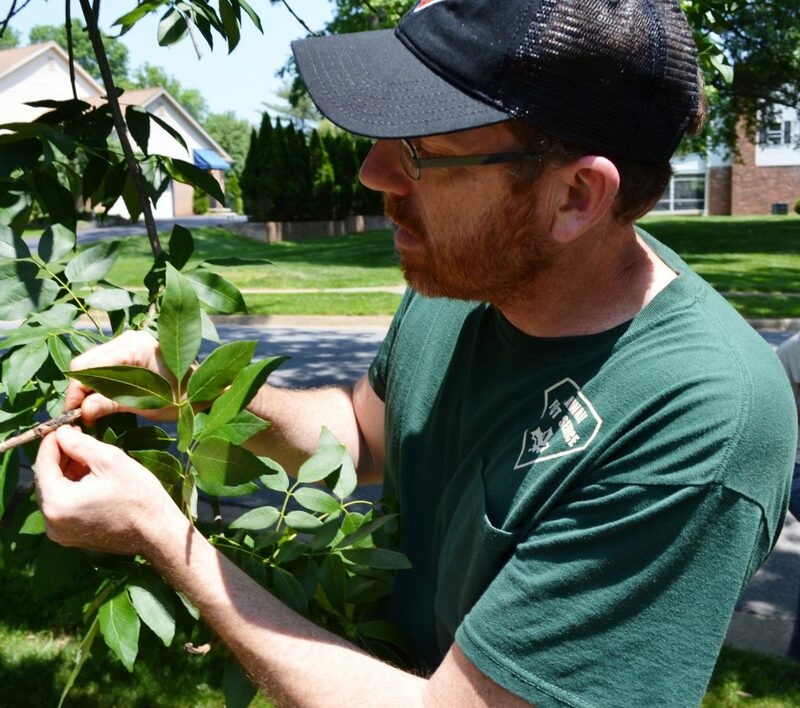 Because Delaware is geographically small and EAB can go undetected for years, residents are urged to educate themselves and take action. Emerald ash borer (Agrilus planipennis) has now been confirmed in 35 states, the District of Columbia, and five Canadian provinces. The USDA’s Animal Plant and Health Inspection Service estimates that the insect has killed millions of ash trees, caused agencies to implement extensive federal quarantines, and cost hundreds of millions of dollars to municipalities, homeowners, nursery operators and forest product industries. 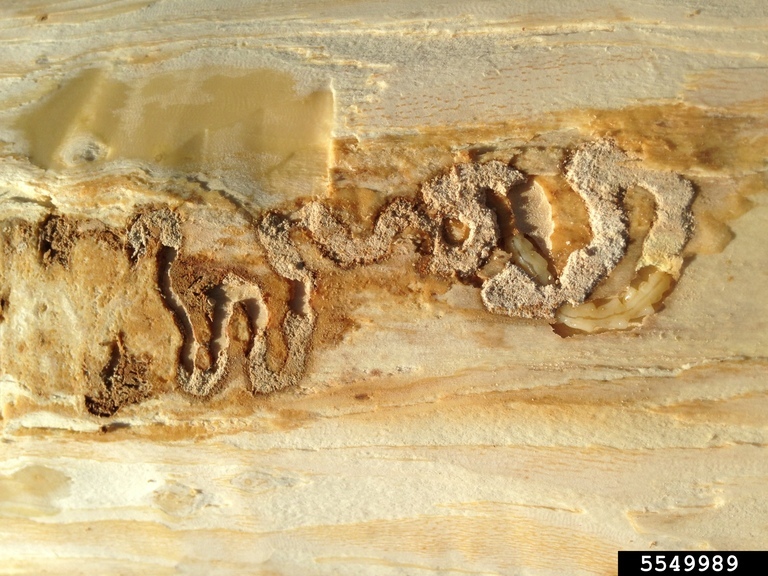 For a comprehensive history and overview of EAB, read the Emerald Ash Borer Story Map.